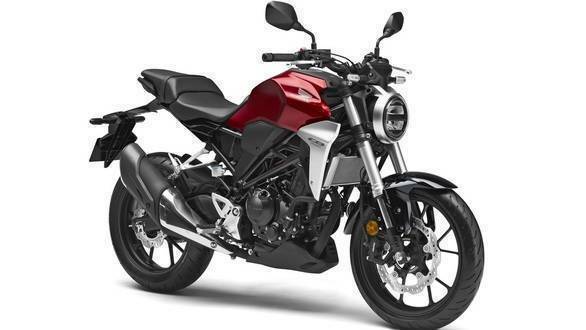 Honda has confirmed that it will launch its CB300R in the country soon, via the CKD route. That's intriguing enough  almost all quarter-litre motorcycles on sale in the country are manufactured locally but Honda has chosen to take the CKD route for the entry-premium sport-naked motorcycle. Interestingly though, Honda has indicated that pricing for the CB300R will be below Rs 2.5 lakh ex-showroom. What's even more interesting is the fact that the CB300R will be sold as a premium product through select retail outlets only. Bookings are now open and can be made by paying just Rs 5,000. To remind you, the Honda CB300R is a retro-styled sport-naked motorcycle that looks like the new CB1000R that was launched in the country recently. The CB300R is powered by a 286cc, liquid-cooled, single-cylinder engine with a 4-valve, DOHC head, and outputs are 32PS and 27.5Nm. The CB300R of course boasts top drawer equipment, including a full-LED headlamp unit. It is suspended on a pair of 41mm upside down forks at the front while a 296mm, petal disc along with a radially-mounted, 4-piston caliper takes care of braking duties upfront. The CB300R comes equipped with an IMU as well, which works full-time in sync with the ABS. We are expecting the bike to go on sale in the coming months and when it does, it will take on the likes of the BMW G 310 R and KTM 250 Duke primarily, as also the upcoming, higher-specced Bajaj Dominar 400.